Our little pumpkin just turned three this past weekend. 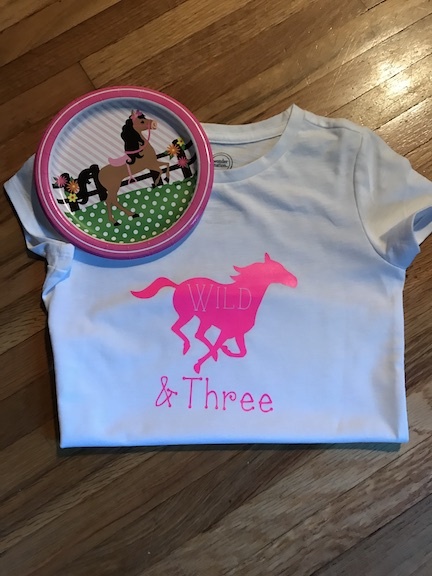 To celebrate her special day I made her a wild & three birthday shirt for her horse themed party. I thought it would be perfect to add wild to the running horse just like Spirit Riding Free (her favorite show). She looked adorable in her wild and three birthday shirt. To get started in Cricut Design Space, I uploaded the running horse image. Then I attached the word “wild” to the horse. 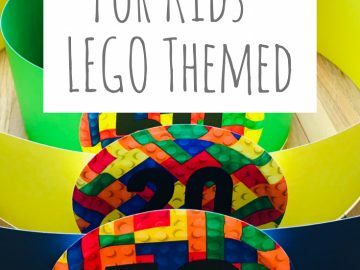 Next add the text “& Three”. 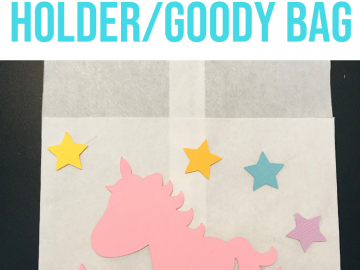 This is a really easy birthday shirt to create and it only took a few minutes. Here is the Wild and Three Design . Pink is my daughter’s favorite color and the color of her party. 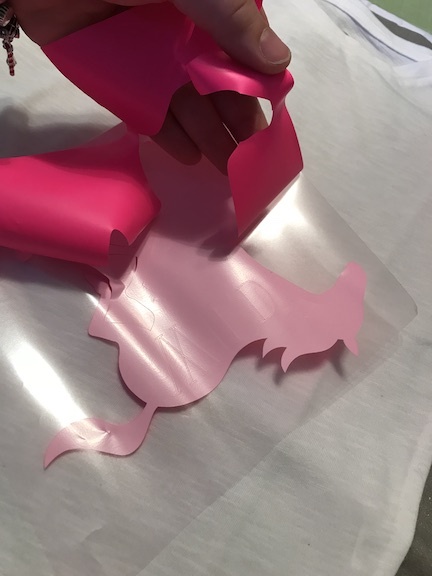 I cut the design on my Cricut Maker using heat transfer vinyl. Make sure the shiny side of the vinyl is down on the mat. Next weed your design. I was in a hurry and started weeding, then remembered I needed a picture. 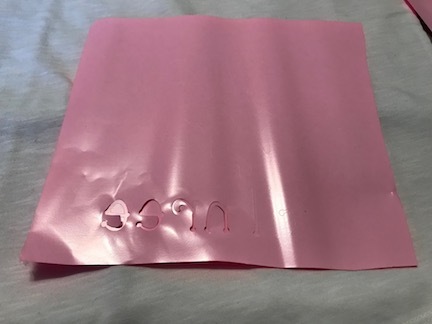 After weeding, gently peel off the extra heat transfer vinyl. 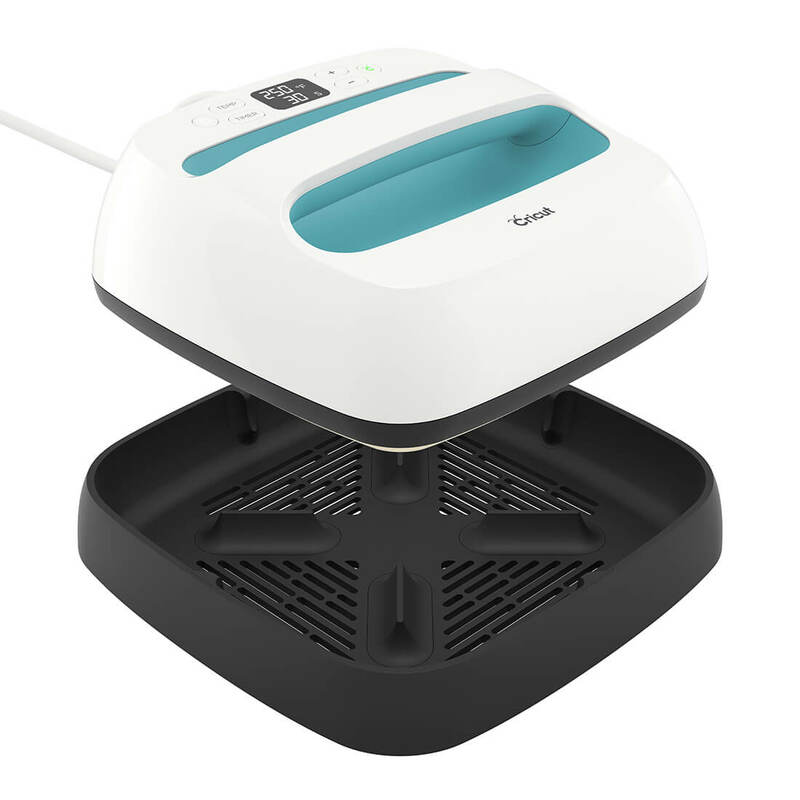 Follow the instructions for the Cricut Easy Press, which can be found here. Find the middle of your shirt and measure where to place the design. I used the tag on the inside of the shirt as a guide for the center of the shirt. Press your design, then make sure to flip it over and press the back. Then peel off the protective cover. 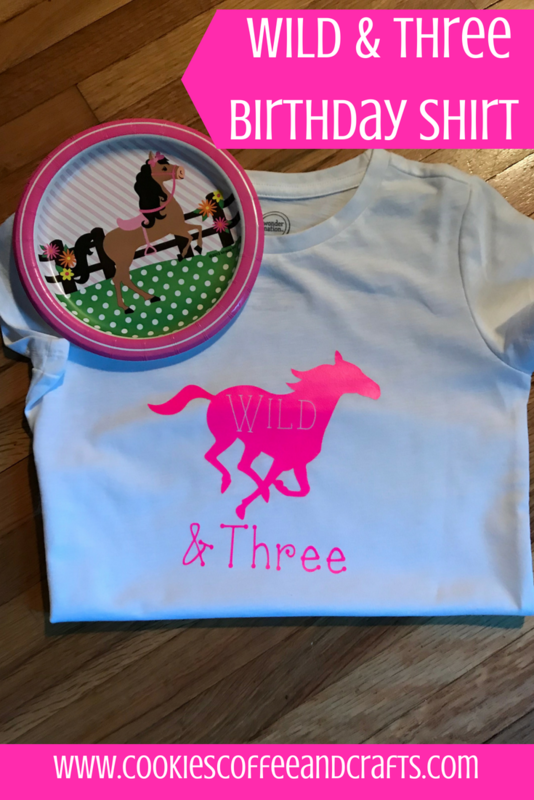 Now your Wild & Three Birthday Shirt is ready to celebrate! 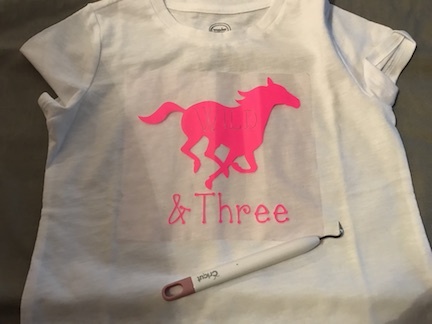 My daughter was so excited for her pink horse shirt.